Happy Tuesday and Happy Fourth Of July friends! I just wanted to pop in here this morning to say a quick hello before we're off on a little fun adventure to a friend's house this afternoon! Our plans always include something exciting for the past 5 years because our anniversary is in TWO days! I can remember a few year ago being with friends and family watching the fireworks and feeling so anxious and nervous for the next 48 hours to marry Zach. It's such a fun moment to look back at our wedding video now with two kids and remember each detail of that weekend! Anywoooooooo ... it's been raining a lot again the last few days here in Atlanta. Not a fan at all! 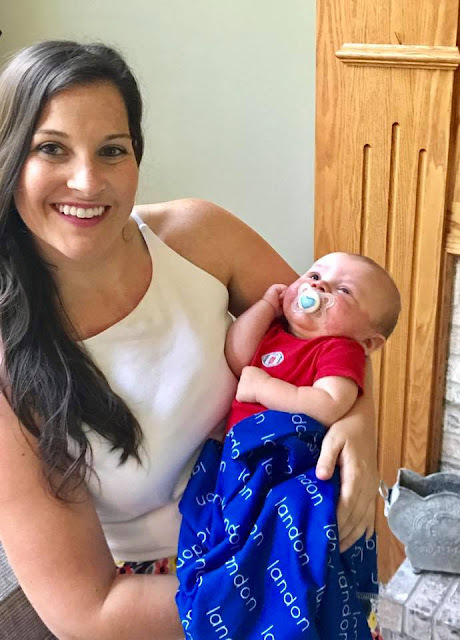 It does keep us busy with our Landon whose already 10 weeks (yesterday ) and Im thinking how on earth are we already close to 3 months with this sweet boy?! Life sure isn't busy with him around that's for sure! I'm trying to sign Lily up for tumbling/dance class this fall because she's been a little monkey before she started walking! Any fun recommendations in the Atlanta area friends? I feel like it would be a great energy boost for to join a class ( which of course fill up in 20 seconds for weekend classes ) so let's keep our fingers crossed we can get her in! A few weekends ago I went to a Dip n Dab painting class with some girlfriends and had a total blast! 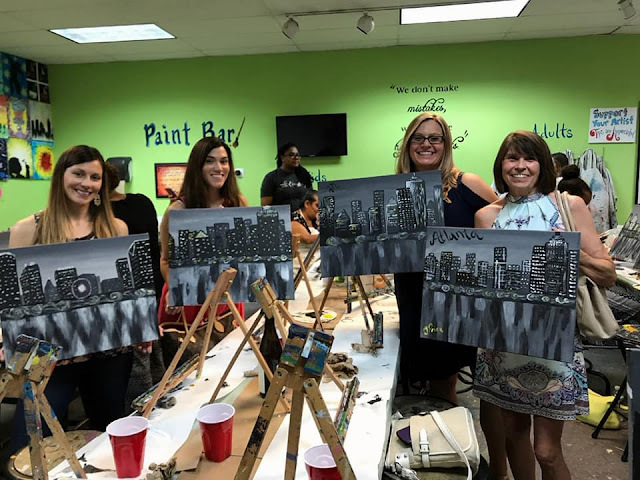 Of course, I am NOT an artist by any means and just enjoyed being out with the girls, enjoying a glass of wine and pretending I knew what I was doing. Unfortunately it down poured on our way out and with a wet painting in tow, I ended up getting some of the paint on my new gift that Zach had bought me! #cryingemoji Anyone know how to get paint out a super expensive purse!? Another fun note- my cousin Megan got engaged last night! I knew about the engagement for the last few weeks and sadly wasn't able to be there in person but was able to FaceTime with friends and family as their surprise engagement party! It was such a special treat to chat with her about it and I couldn't be more excited for her and her now fiance! Let the wedding planning begin! Any fun plans today friends?! Let me know! Hope you get into a dance/tumbling class! Our daughter has done for a year and it's been so much fun. It also wears her out!